Last October, fentanyl killed my brother Mike at age 47. As the CDC reported this summer, Mike was one of 20,100 Americans to die from the drug last year. Encouraging signs, maybe, but I see nothing in the offing — nothing in big-picture national policy, at least — that could have saved Mike. He died after a year of addiction to painkillers. He spent that entire year waiting for a seat at a local methadone clinic. He kept a log of the phone calls dutifully placed to its waitlist line on a sheet of paper in his kitchen, the last entry dated two weeks before his death. Even if he ever got in, he was doubtful he’d survive. Thousands of opioid addicts fail to make the switch a permanent one. Mike's autopsy showed a half-dozen painkillers brewed by some rogue chemist for the purpose of cheap quick sales on the street. 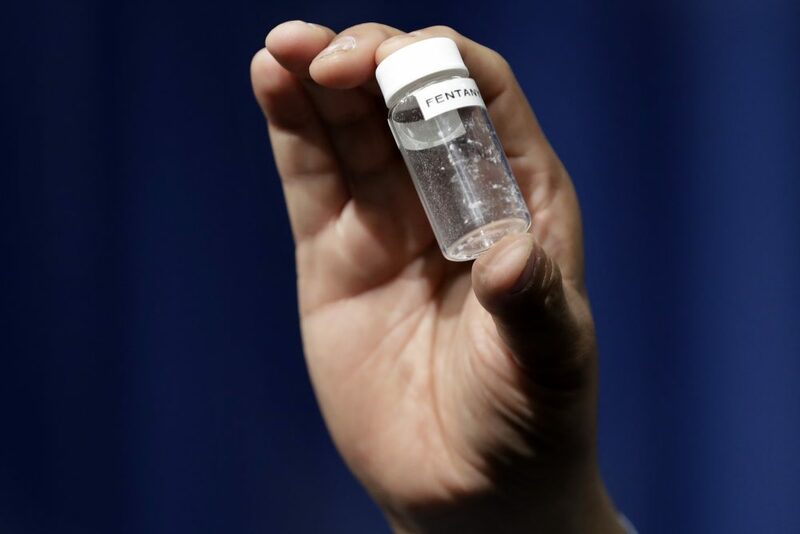 If it came from abroad, as most does, the fentanyl — an elephant tranquilizer — made it through the world’s most sophisticated security apparatus to the streets of Burlington, Vermont. Mike had no trouble finding a local dealer and self-medicating for kidney stone pain when he needed it. I’m not happy to say this, but this functional self-medicating health care “system” worked flawlessly. Can we do better? I don’t see how. Given the limited options and resources, our status quo seems to be as good as it gets. Mike was in the sweet spot of fentanyl’s target in 2016: American men under 50. This opioid has been America’s flavor of the month for over three years, surpassing other killers like heroin, cocaine and methamphetamine. America is not alone. It may have a Centers for Disease Control like no other, keeping closer tabs on drug abuse than most, and we use more opioids than most nations. But the world is awash in drugs, both prescription and street. Our race is superb at medicating — always has been, always will be. So I don’t expect us humans to get out of this predicament. Let’s own up to it. You can guess the raven’s answer. It’s a rhetorical question, and I’ve known the answer since I first read the note: nothing. There is no balm in Gilead. Whatever national policy emerges, I see only a landscape littered with ever more Walgreens, their pharmacists caged like casino cashiers against the barrage of balm-seekers. And streets, real and virtual, offering pills and powders for the rest of us. Each time my 18-month daughter skins her knee, I help her up. I kiss the scratch. To curb her wails, I toss her high in the air. The adrenaline charges through her blood stream, binding to the the right receptors, relaxing her muscles. To be human is to suffer — and part of the suffering is the search for relief. When I put my daughter down, she looks up. “More, more, more,” she says. Each night after dinner, I walk my daughter and dog past our village's AA meeting. A dozen smokers linger on the stoop of the church, checking their devices. For months, I wondered, how is it that I always time my walk to when this meeting adjourns? Then I figured out that the meeting wasn’t adjourning. These people needed a cigarette, a break from the self-help. They needed to check their inboxes or feeds to see if there was any other relief in the world, an alternative to facing their own demons. Aware of my family’s own paths of addiction over the years, and the marvel of these people’s small steps, I now greet them enthusiastically and stop to let them pet the dog. I may very well be looking into the eyes of the world’s most successful men and women. The world’s smartest engineers, addressing its most complex puzzle. For those who survive methadone, all the most concerned physicians, data-driven policy and pharmacy security measures can’t rival the deceptively simple formula of an AA meeting: Come join others in this shamefully analog public forum. Talk. Listen. Go home. Try to come back. I will leave it to lawmakers and health care leadership to convince me otherwise, but for now, I'll echo my brother's rhetorical question: What can you do about pain? Joseph Walsh is the pen name of a writer in Cambridge, used because his family fears the stigma of a drug-related death.